The Sega Genesis’s prime came and went decades ago, but the system is still upheld as one of the most important and well-remembered in videogame history. The popularity of retro gaming has kept that belief alive long after the console went out of production, but now there is one developer who is bringing a brand-new title, made specifically for the Sega Genesis, to market. 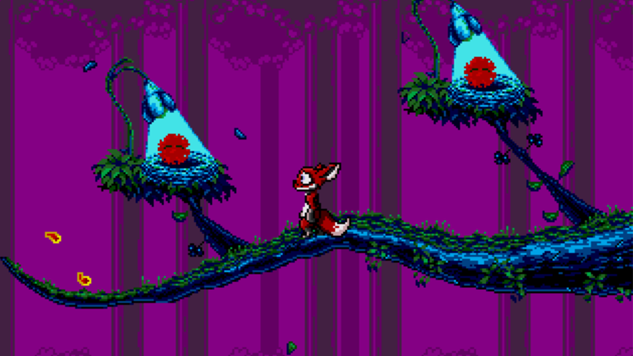 Tanglewood is the product of an experiment by Matt Phillips, a U.K.-based developer who undertook the task of creating a genuine Genesis platformer true to 1994 specs. We’re not kidding. Phillips procured an original Mega CD dev kit, powered it with a Windows 95 PC and used it to create the title that hearkens back to the flood of character platformers that dominated the 16-bit era. The game was funded through Kickstarter, and will be available both as a Sega Genesis cartridge and a downloadable PC title. While it isn’t licensed and approved by Sega itself, the company did unofficially wish him luck. Tanglewood will be released sometime in June 2018, but there is a demo available here for those who want to relive a bygone era.